Sunday 21.00 - 22.05, Westminster Lodge, St Albans. Tuesday 21.10 - 22.00, Westminster Lodge, St Albans. Westminster Lodge has seen a new £25 million facility built which opened in December 2012. 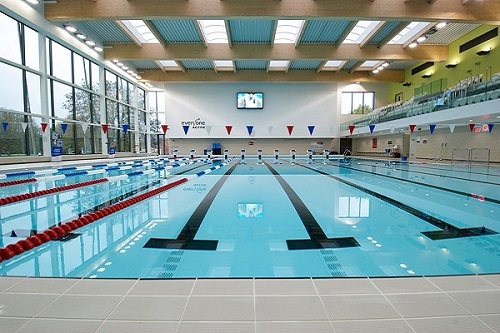 The pool is 25m and 10 lanes wide with a half tiled, half plastic moveable bottom. For our sessions we have the depth set at 2m. We have played on both surfaces and there is mixed opinion about the differences in tiled and plastic bottoms. The plastic side has been surprisingly good to play on as the puck seems to move very fluidly. These new facilites include heated tiles in the changing rooms, crystal clear water and new shower cubicles with free shower gel!